Jędrzejów(listen) is a town in Poland, located in the Świętokrzyskie Voivodeship, about 35 kilometres southwest of Kielce. It is the capital of Jędrzejów County. It has 16,139 inhabitants (2011). The origin of the name of the town is unknown. Probably it was named after a man named Andrzej (Jędrzej), a member of the noble Lis family, which resided in this area. Andrzej Chwalba is a Polish historian. Professor of history at the Jagiellonian University, the university's prorector of didactics (1999-2002), head of the Institute of Social and Religious History of Europe in 19th and 20th century, and the deacon and prodeacon of Department of History. Dębska Kuźnia, German: Dembiohammer is a village in the administrative district of Gmina Chrząstowice, within Opole County, Opole Voivodeship, in south-western Poland. It lies approximately 4 kilometres (2 mi) east of Chrząstowice and 13 km (8 mi) east of the regional capital Opole. Racibórz is a town in Silesian Voivodeship in southern Poland. It is the administrative seat of Racibórz County. Warmia is a historical region in northern Poland. Masuria is a region in northern Poland, famous for its 2,000 lakes. Before the end of World War II, it was mostly inhabited by Polish-speaking Lutheran Masurians and constituted a part of East Prussia. Masuria occupies much of the Masurian Lake District. Administratively, it is part of the Warmian-Masurian Voivodeship. Its biggest city, often regarded as its capital, is Ełk. The region covers a territory of some 10,000 km2 and had a population in 2013 of 59,790. 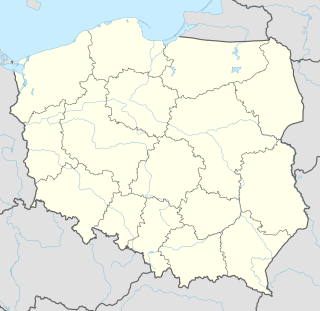 Leszno(listen) is a town in western Poland with 64,197 inhabitants (2017) and is the seventh-largest settlement in the Greater Poland Voivodeship of which it is situated in the southern part of the since 1999. It was previously the capital of the Leszno Voivodeship (1975–1998). The town has county status. 1 2 3 4 5 6 7 8 9 10 Joanna Ostrowska, Marcin Zaremba (2009-03-07). ""Kobieca gehenna" (The women's ordeal)". No 10 (2695) (in Polish). Polityka . pp. 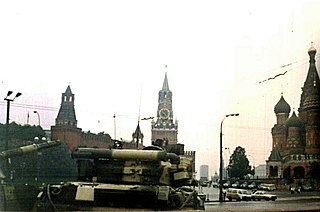 64–66. Retrieved April 21, 2011. Dr. Marcin Zaremba Archived 2011-10-07 at the Wayback Machine of Polish Academy of Sciences, the co-author of the article cited above – is a historian from Warsaw University Department of History Institute of 20th Century History (cited 196 times in Google scholar). Zaremba published a number of scholarly monographs, among them: Komunizm, legitymizacja, nacjonalizm (426 pages),Marzec 1968 (274 pages), Dzień po dniu w raportach SB (274 pages), Immobilienwirtschaft (German, 359 pages), see inauthor:"Marcin Zaremba" in Google Books. ↑ Rita Pagacz-Moczarska (2004). "Okupowany Kraków - z prorektorem Andrzejem Chwalbą rozmawia Rita Pagacz-Moczarska" [Prof. Andrzej Chwalba talks about the Soviet-occupied Kraków]. Alma Mater (in Polish). Jagiellonian University (4). Archived from the original on May 24, 2008. Retrieved January 5, 2014. An interview with Andrzej Chwalba, Professor of history at the Jagiellonian University (and its prorector), conducted in Kraków by Rita Pagacz-Moczarska, and published by an online version of the Jagiellonian University's Bulletin Alma Mater. The article concerning World War II history of the city ("Occupied Krakow"), makes references to the fifth volume of History of Krakow entitled "Kraków in the years 1939-1945," see bibliogroup:"Dzieje Krakowa: Kraków w latach 1945-1989" in Google Books ( ISBN 83-08-03289-3) written by Chwalba from a historical perspective, also cited in Google scholar. 1 2 Jerzy Kochanowski (2001). "Gathering Poles into Poland". Redrawing nations: ethnic cleansing in East-Central Europe, 1944-1948 By Philipp Ther and Ana Siljak. Rowman & Littlefield . pp. 146–149. Retrieved August 21, 2011. Stefan Banach was a Polish mathematician who is generally considered one of the world's most important and influential 20th-century mathematicians. He was the founder of modern functional analysis, and an original member of the Lwów School of Mathematics. His major work was the 1932 book, Théorie des opérations linéaires, the first monograph on the general theory of functional analysis. 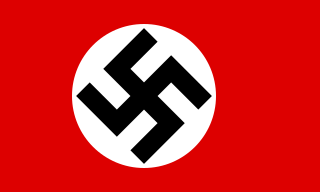 Nazism and the acts of the Nazi German state profoundly affected many countries, communities, and people before, during and after World War II. While the attempt of the regime to exterminate several nations viewed as subhuman by Nazi ideology was eventually stopped by the combined efforts of the wartime Allies headed by Britain, the Soviet Union, and the United States. 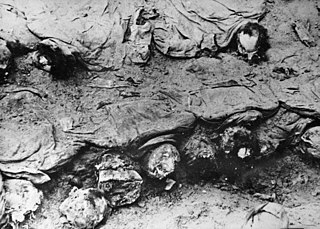 The Pawłokoma massacre refers to the murder of Ukrainians by Poles at the end of World War II in Pawłokoma 40 km (25 mi) west of Przemyśl in Poland, on March 3, 1945. 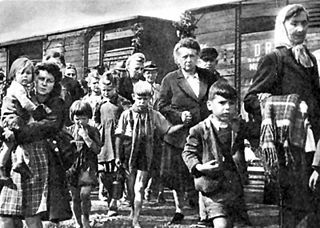 In the period before the outbreak of World War II there were 1370 residents including 1190 Ukrainians, 170 Poles and 10 Jews. The flight and expulsion of Germans from Poland was the largest of a series of flights and expulsions of Germans in Europe during and after World War II. 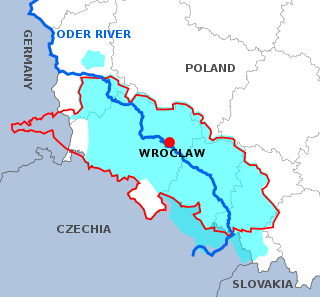 The German population fled or was expelled from all regions which are currently within the territorial boundaries of Poland, including the former eastern territories of Germany and parts of pre-war Poland. The Przyszowice massacre was a massacre perpetrated by the Red Army against civilian inhabitants of the Polish village of Przyszowice in Upper Silesia during the period January 26 to January 28, 1945. Sources vary on the number of victims, which range from 54 to over 60 – and possibly as many as 69. The Institute of National Remembrance, a Polish organization that carried out research into these events, has declared that the Przyszowice massacre was a crime against humanity. Kraków (Krakow) is one of the largest and oldest cities in Poland, with the urban population of 756,441 (2008). Situated on the Vistula river in the Lesser Poland region, the city dates back to the 7th century. It was the capital of Poland from 1038 to 1596, the capital of the Grand Duchy of Kraków from 1846 to 1918, and the capital of Kraków Voivodeship from the 14th century to 1999. It is now the capital of the Lesser Poland Voivodeship. Marian Kamil Dziewanowski was a historian of Poland, Russia and modern Europe. Second lieutenant Jerzy Zakulski was an attorney in interwar Poland, and World War II member of the National Armed Forces in German-occupied Poland. He was sentenced to death and executed by Stalinist officials in Soviet-controlled postwar Poland, on trumped-up charges of being an enemy spy.